Q. Why should I engage Kalorama Wealth Strategies, LLC? What credentials does the advisor have and do they maintain memberships in professional organizations? M. David Goldstein has extensive specialized education related to the financial services industry: he is a CERTIFIED FINANCIAL PLANNER (CFP)TM professional and a member of the Financial Planning Association; a Chartered Financial Analyst (CFA) charter holder, with membership in the CFA Institute and the CFA Society of Washington, D.C.; and formerly a Certified Public Accountant (CPA) licensed in the State of Maryland. David dedicates a considerable amount of time to continuing education on financial planning and wealth management strategies. What is the advisor's experience? Kalorama's Founder and President, M. David Goldstein, has more than 10 years experience in the financial services arena. This includes investment research, portfolio management, and financial planning. David is also an "Adviser's Advisor," providing investment management consulting services to Registered Investment Advisers in the areas of business development, asset allocation and portfolio construction, and investment analysis and selection. Kalorama has a fiduciary duty to provide independent and objective advice that always puts the interests of the client first. Our fee-only structure assures that we are compensated solely by fees paid by our clients. We do not accept commissions or compensation from the sale of financial products or any other source. Therefore, all conflicts of interest are avoided. What is the advisor's planning process and investment philosophy? Kalorama is committed to following the six-step financial planning process established by the Certified Financial Planner Board of Standards, Inc. (CFP Board). In addition, Kalorama uses a disciplined, seven-step investment advisory process. Kalorama's investment philosophy embraces leading-edge investment strategies that are based upon sound financial and economic principles that emphasize low costs and tax efficiency. What services does the advisor provide and what products are available? Kalorama's services include investment advisory and financial planning. With the focal point of a financial strategy being the investment plan, Kalorama's specialty is the development and implementation of your investment and/or retirement plan. Kalorama also can assist you with other aspects of your financial plan, including cash flow management and net worth analysis, insurance review, tax analysis (we do not prepare tax returns), and estate plan review. As an independent advisor, Kalorama has no proprietary products or programs and is free to recommend products and strategies from a nearly unlimited menu. Advisors or brokers who are employed by a bank, brokerage firm, mutual fund, or insurance company typically have a limited menu of products that they recommend. Further, these captive or proprietary programs generally have incentive compensation structures which could result in the advisor making the recommendation for the wrong reason. Q. Why the name Kalorama? A. Kalorama in Greek means "beautiful view." Through our planning process, our goal is to provide A Beautiful View to Your Financial FutureSM. Kalorama is also a neighborhood in Northwest Washington, D.C., overlooking the city to the south and Rock Creek Park to the north and west. The name was originally adopted in 1807 by the owner of the Kalorama Estate at 23rd and S Streets. In the 1920s, some of the finest mansions in the city were built for the city's wealthiest and most powerful families. Today, many of the homes continue as residences while others are now elegant embassies, many of which still have ballrooms, grand staircases, and circular driveways. The neighborhood has been home to eight Presidents (more than any other in the country, excluding the White House): Herbert Hoover, Franklin D. Roosevelt, Warren G. Harding, William Howard Taft, Woodrow Wilson, Harry S. Truman, Dwight D. Eisenhower, and Barack Obama. The Wilson home in the 2300 block of S Street is a museum which is open to the public. A landmark at the north end of the neighborhood is the Taft Memorial Bridge, notable for the stately lion sculptures at either end. 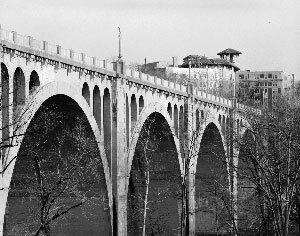 Constructed between 1897 and 1907 as the "Connecticut Avenue Bridge," it was one of the first and largest unreinforced concrete bridges in the world.Its cost of almost $850,000 earned it the nickname "Million Dollar Bridge." In 1931, it was dedicated to former President Taft, a nearby resident. Q. What do those initials after David's name signify? Consumers should be aware that anyone can assert that they are a "Financial Planner." Therefore, it is imperative that a consumer differentiate between a planner who has earned the CFP® marks and one who has not. Q. If I am an investment advisory client, who holds my money? A. Independent Registered Investment Advisers such as Kalorama enter into agreements with other parties to provide asset custody, transaction execution, and back-office services to maintain records. Kalorama has an agreement with Shareholders Service Group, Inc. (SSG) for transaction execution and account services. SSG uses the clearing and custody services of Pershing, LLC, a subsidiary of The Bank of New York Mellon, which is among the world's largest asset custodians. Q. I've heard of financial planning, but what is investment planning? A. The focal point of any financial strategy is the investment plan  how your assets will be invested to achieve your financial goals. Kalorama's specialty is the development and implementation of your investment and/or retirement plan, along with the management of your assets to help you achieve your financial goals. Kalorama can also assist you with other aspects of your financial plan, including cash flow management and net worth analysis, insurance review, tax analysis (we do not prepare tax returns), and estate plan review. Q. Do you prefer mutual funds to individual securities? A. We believe that passively- and actively-managed mutual funds and exchange-traded funds (ETFs) are suitable for the majority of investors. These investments offer full-time professional management, the ability to globally diversify, and generally same-business-day marketability and liquidity. If your situation warrants, individual stocks and bonds may be held in your portfolio. Q. How do you select the investments? A. We select investments through a rigorous quantitative and qualitative analysis designed to identify top-performing no-load mutual funds and exchange-traded funds. The ongoing analysis is designed to result in the selection of investment managers who are specialists in their asset class or style. Q. Why should I hire you to manage my portfolio when I could purchase investments on my own? Expert portfolio construction to maximize expected returns within individual risk tolerance. Adherence to a disciplined, long-term investment strategy based upon sound principles. Application of disciplined rebalancing techniques to maintain the correct portfolio allocation. Tax management, including tax-loss harvesting, to minimize the effect of taxes. Coordination of all investments, both taxable and retirement accounts. Ongoing monitoring and management, including research and evaluation of investments to develop buy/sell/hold recommendations.